Inpress’ Patented & Proprietary Technology is part of how Shade Balls can be made at a fraction of the cost paid by Los Angeles. 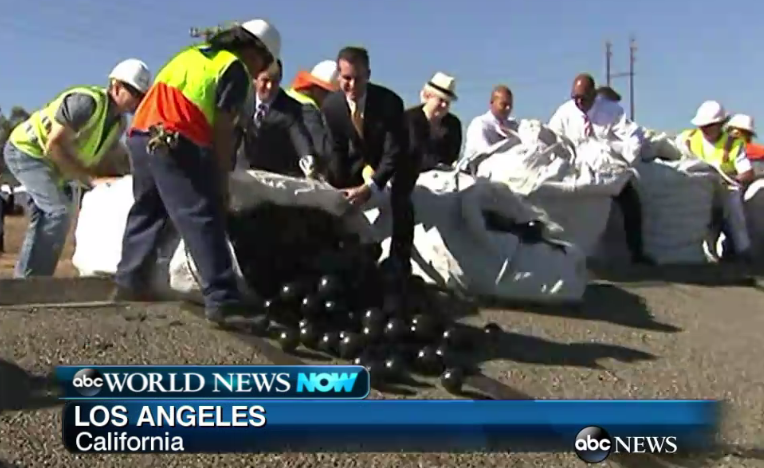 96 million shade balls were dumped into the Los Angeles drinking water reservoir last month. They cost L.A. 36 cents a ball, for a total price tag of about 34 and 1/2 million dollars. L.A. mayor Eric Garcetti said these shade balls help fight California’s devastating drought by reducing evaporation and saving his city 300 million gallons of water per year. They also have the added benefit of protecting the drinking water from sunlight and wildlife. The reality is that the federal EPA regulations require that all municipal drinking water reservoirs have to be covered up in order to protect against harmful bacteria and diseases. Mayor Garcetti didn’t mention this because cities across the U.S. have complained bitterly that this EPA requirement is too expensive and onerous. For example, the city of Portland has recently decided to close down one of its reservoirs because it can’t get into compliance after the EPA gave Portland 6 extensions on their deadline. 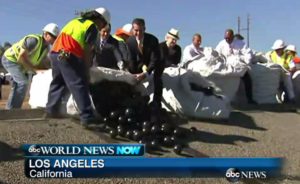 Without the shade balls, the only alternative that mayor Garcetti and the city of L.A. had for complying with this EPA requirement was laying down a tarp type covering, which would have cost almost $300 million, according to ABC News. as part of our competitive advantage, we make shade balls at a fraction of the cost that Los Angeles paid. We at Inpress look forward to helping cities across the U.S. comply with the EPA’s LT2 regulation by covering drinking water reservoirs cost-effectively. This helps prevent the diseases and even deaths that were the reason behind the EPA cover regulations being required in the first place.